Conservation can be about water, the environment, and even prizes! 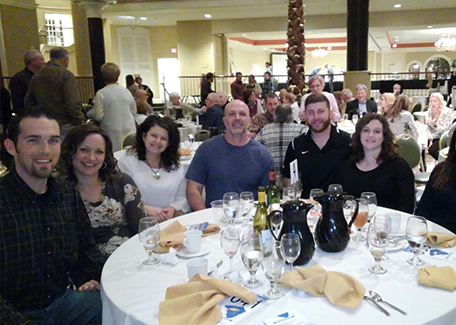 RETTEW was a platinum sponsor of the annual Spring Fundraiser for Donegal Trout Unlimited this past weekend. A longtime client of ours, the evening included games, auctions, and a delicious dinner. Several RETTEW folks and their spouses attended, using their auction cards to play a fast-paced game to win anything from a week’s stay in Myrtle Beach to rounds of golf at Fox Chase and Iron Valley. RETTEW has partnered with Donegal Trout Unlimited on many coldwater fisheries over the years to continually improve our communities. We were proud to support the organization’s annual event!